Deal in all types of properties. Raibareli road is one of best road in the sense of best road in Lucknow. It is a nation highway from Lucknow to Raibareli to Allahabad. This road offering cheap land on main highway in comparison to other highways of Lucknow like Kanpur road, Sultanpur road and Faizabad road respectively. Banthra is not new to Lucknow as it has national highway Lucknow Kanpur road NH 25. It has now its own tehsil that is Sarojini Nagar the new tehsil in UP by gov. Best to offer Newly built 7 star hotel Deep Mirada Prasad institute of medical science Mg Mit etc. Paarth Republic. Vip area Sarojini nagar airport few minutes away, National highway NH 25 is here which is also Lucknow first metro route, so not to much to say it is one of the best area of Modern Lucknow. Everything is here what you want to get. Deva Road is a most developing area than else in Lucknow has very cheap plots. Ram swaroop university is there. Indira canal view is there. 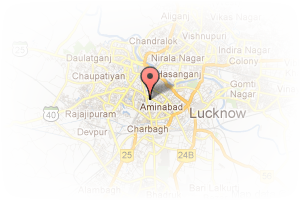 Address: patrakarpuram, Gomti Nagar, Lucknow, Uttar Pradesh, India. 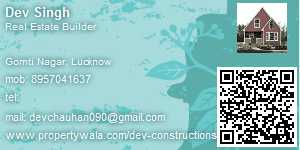 This Builder Profile page for "Dev Constructions" has been created by PropertyWala.com. "Dev Constructions" is not endorsed by or affiliated with PropertyWala.com. For questions regarding Builder Profiles on PropertyWala.com please contact us.